Hand lasted in the UK by Freed of London Pointe Shoe Makers and constructed entirely from natural and biodegradable products. The platform is angled to 90 degrees which positions the dancer stably and centrally en pointe. Freed's graduated Classic Pro insole design is strong under the metatarsal and flexible under the heel. This shoe features an extra deep cut round vamp, light wing block, and strong block and platform with lower cut sides and an elastic drawstring. 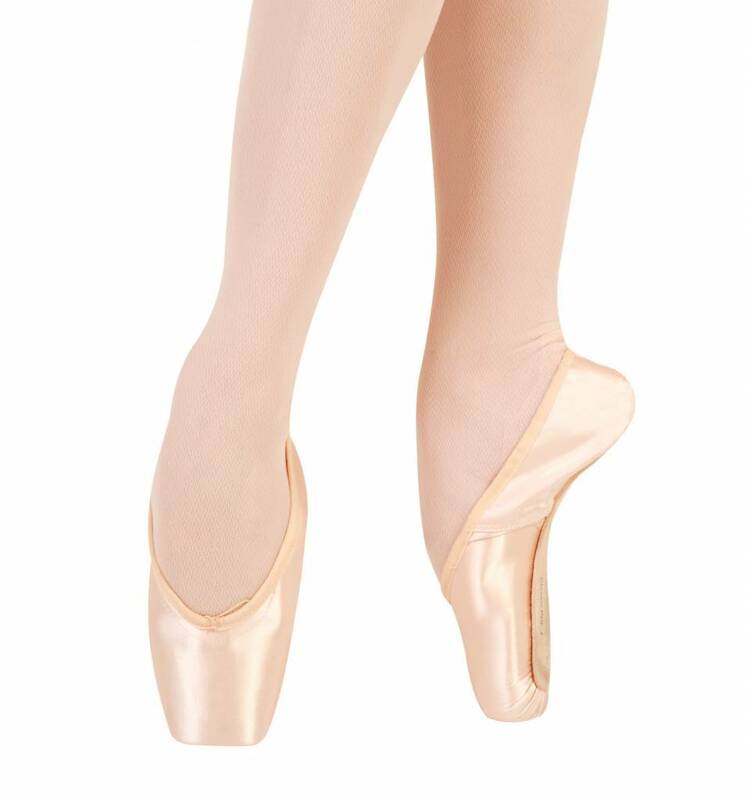 Perfect for the dancer who has completed their basic pointe work training and also the more experienced dancer.